While our neighbors in the North are really enjoying autumn in all its glory, it’s still basically summer here in Los Cabos. However, when you get married in October or November in Cabo, you might still want to add a flare of fall because lets face it, fall is the prettiest because of all the colors. Without being “basic” there are some really great ways to recognize the season even while being on the beach for your wedding. 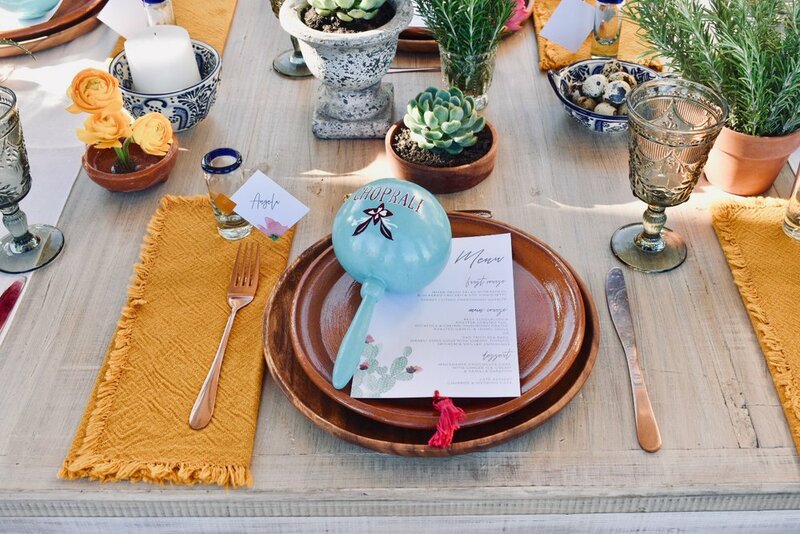 This wedding we recently had really hit the nail on the head with having a beachy-desert wedding during the fall. The colors our design team and our client decided on really stood out and we cannot wait to use them again later this fall or next year. Have a look! 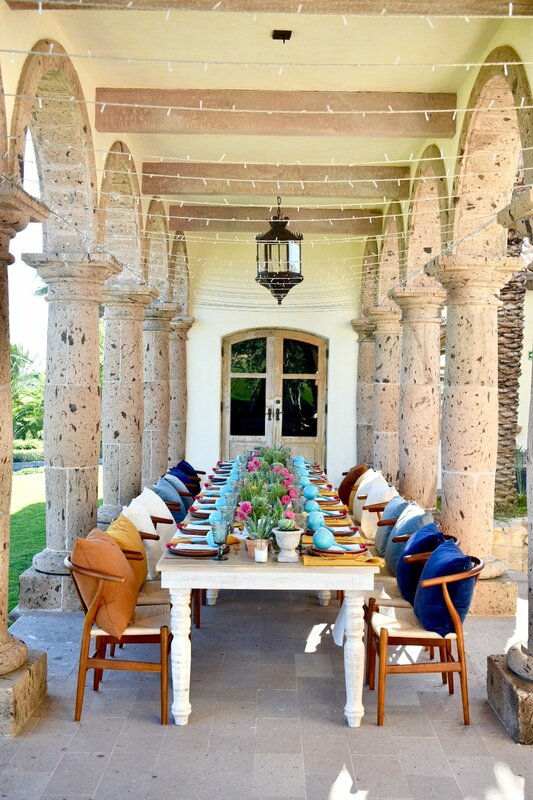 Ocean Blue, Fern Green, Persian Orange, with pops of Fuchsia, and accents of White and Sienna Brown from the table & chairs.